Stephanie Stillwell facilitates the group and after its meeting this week, Stillwell explained that members initially wanted to gather data on overdose deaths, hospital visits and the number of community members seeking treatment. The task force wanted to use that data to seek funding for resources. “It’s just such a complicated, complex issue that it’s really hard to hone in on and who’s collecting what and how we’re getting this information,” Stillwell explained. Instead, the group began hosting community conversations as a way to collect stories of addiction and recovery in the community. “So from that, we’ve been able to move forward a lot more effectively with following the energy of what’s going on in our community and where we need to go,” Stillwell added. Task force members found treatment services were lacking on the southern Kenai Peninsula. Eventually, its work caught the attention of Philip Licht. He’s the executive director of Set Free Alaska, a Christian-based and state accredited treatment program located near Palmer and Wasilla. Licht began attending task force meetings with the idea of expanding Set Free’s services to Homer. “Our thinking was sober support and outpatient and then maybe sometime into the future residential,” he said. Licht said residential treatment appeared to be the largest gap in the road to recovery for Homer-area residents and set Free eventually settled a 16-bed men’s facility. Like Set Free’s Mat-Su program, the Homer facility could provide out-patient treatment for up to 20 patients, both male and female. The idea is that Mat-Su and Homer residents could utilize residential services at either facility and move to out-patient services in their own community. Set Free hopes to launch the Homer project with grant funding. “The state put out a grant for anyone who is willing to expand residential treatment capacity. We have a working relationship with the state and thought we would have a great shot at getting that,” Licht said. The grant would provide $1.5 million over two and a half years, a big jumpstart for the estimated $3.2 million project. The city may also pitch in. The Homer City Council is due to introduce an ordinance Monday that would provide a roughly $100,000 match if Set Free is awarded the state grant. Homer City Council member Heath Smith is cosponsoring that measure. “I think that the funds that we’re using, which is from the community assistance moneys that are provided by the state, that this is a perfect use for them,” Smith said. Set Free also plans to put some of its own funding toward the project. The state will award its grants for residential treatment programs in March. Licht said if Set Free is selected, the Homer facility could open by the end of the summer. If the program is not selected, he said that timeline will be delayed. 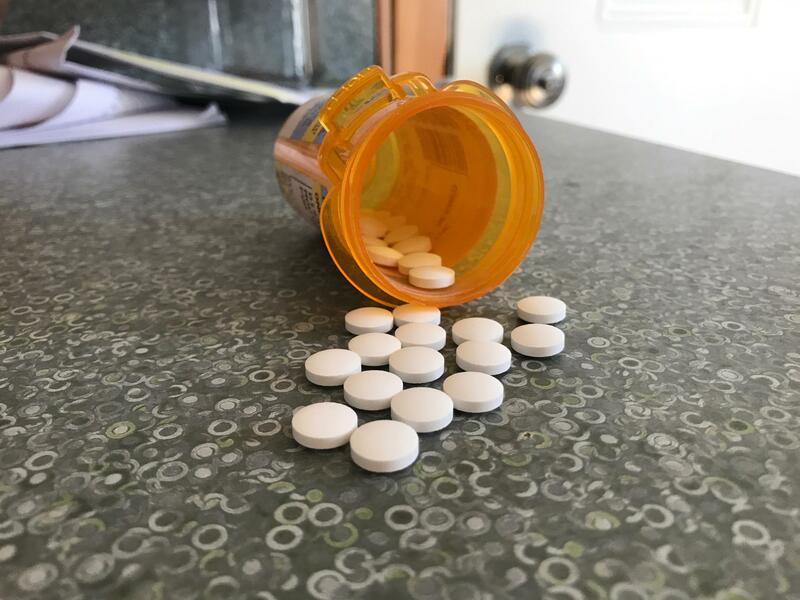 The state Office of Substance Misuse and Addiction is making the rounds around the state to get a better idea of how communities are handling opioid and heroin addiction. Misuse and Addiction and state opioid task force representatives stopped in Homer Wednesday for a five-hour community discussion. Homer area residents gathered in groups to discuss prevention and response to opioid issues in the community, their perceptions of the issue and what factors make it unique in Homer. The Cook Inlet Council on Drug and Alcohol Abuse, or CICADA, has expanded hours at its Homer satellite office. The Kenai-based non-profit hired one part-time provider in late-September, expanding its out-patient services to five days per week. In the past, CICADA has staffed the Homer location with providers from Kenai just two days per week. Executive Director Sara Fann said the move is just the first step to provide more services on the southern peninsula.